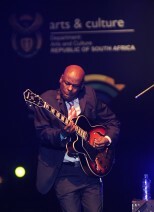 The Cape Town International Jazz Festival (CTIJF) has been one of Cape Town’s main attractions for over 16 years. With the growth and success of the festival, it has actively focused on not only contributing to the local economy in terms of revenue, but also through actively growing and investing in local talent. In its bid to promote local skills development, the festival is currently offering a number of Arts Journalism, Photojournalism and Mentoring Arts Journalism programmes. The short courses will be using the festival as backdrop and context for developing and honing the skills needed to do justice to South Africa’s nuanced cultural narrative. The courses will further help participants to apply their knowledge to reporting any arts topic, whether for traditional press, broadcast or new media. Affectionately referred to as “Africa’s Grandest Gathering”, the CTIJF is the largest music event in sub-Saharan Africa. It is famous for delivering a star-studded line-up featuring international and local artists in the jazz and jazz-related genres. This proudly South African event is hosted at the Cape Town International Convention Centre (CTICC) each year on the last weekend of March or the first weekend of April. The festival boasts multiple stages with over forty artists performing over two nights. The festival hosts an excess of 37 000 music lovers over the two show days and is combined with the CTIJF Sustainable Training & Development programme that aims to uplift and educate the youth. According to the Jazz Festival team, the growth of digital media has seen an increase in the demand for content across the board. The festival reports that there is a hunger for specialist and unique pieces that spark interest and capture attention. “The arts and entertainment beats provide rich pickings for creating unique content, but spotting and reporting on these needs skill, particularly for short form writing. “Participants on the CTIJF programmes will have access to the festival’s workshops, master classes, and performances, and to some artists and other festival role-players behind the scenes. The courses will support them as they learn to drill down to the heart of the story and format it into newsworthy and engaging copy. They’ll also learn more about the history, context and content of the festival’s music,” the CTIJF team says. Building reporting capacity in an era of shrinking newsrooms and increasingly intense competition on multiple platforms, is tough, according to the Jazz Festival team. They point out that the media that wins the struggle for readers will be those that provide ‘a good read’ and thought provoking images; those that that can connect, engage with and retain often-fickle audiences. The festival organisers say editors and media owners can give their platforms a head start by offering their writers, photographers and arts/lifestyle team leaders access to ongoing training and skills development such as these courses. Led by respected professionals, all three courses are well established (Arts Journalism is in its 14th year) and highly regarded by the industry. As a result, the festival attracts far more applicants than there are places available. As one of this year’s local featured artists, Cape Town songbird Lana Crowster will be gracing the Jazz Festival stage for the first time. 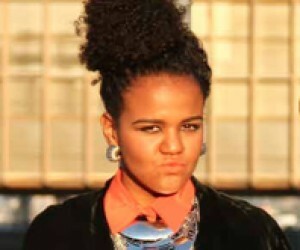 Crowster, who recently won the festival’s espYoungLegends competition, will also be actively involved in some of the arts programmes on offer. espAfrika, organiser of the world-renowned CTIJF, launched the new espYoungLegends initiative this year to discover up and coming jazz-inspired talent. espYoungLegends offered young unsigned musicians a chance to expose their talent to the espAfrika audience and a prize to perform at the prestigious CTIJF 2016 in front of thousands of festival-goers. After much deliberation, the panel (which included the espAfrika talent committee, musicians Camillo Lombard, Donveno Prins and DJ Eazy, together with facilitator Bev Scott-Brown) selected Lana Crowster as the inaugural winner. Another exciting artist that will be entertaining festival goers is the international sensation Meshell Ndegeocello. Described as mercurial and masterful, Ndegeocello has survived the best and worst of what a career in music has to offer. Having eschewed genre for originality, celebrity for longevity, and musical trends for musical truths, she has lived through the boom and bust of the industry and emerged just as she entered – unequivocally herself. 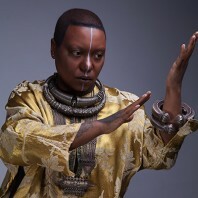 It has been reported that fans have come to expect the unexpected from Meshell, and faithfully followed her on sojourns into soul, spoken word, R&B, jazz, hip-hop and rock, all bound by a lyrical, spiritual search for love, justice, respect, resolution, and happiness. Being described as groove driven, infectiously melodic and lyrically meditative, Meshell’s latest album, Comet, Come To Me, finds her returning to the same well of creativity that launched her career. Her 11th release, it is possibly a culmination of all previous work: lush, vocal, seeking, wise, collaborative, and driven by the signature bounce and precise pocket of Ndegeocello on bass. The album features special guests Shara Worden (My Brightest Diamond) and Doyle Bramhall, along with long-time collaborators Christopher Bruce (guitar) and Jebin Bruni (keys), and Earl Harvin on drums. Assured of her place as an authentic musical thinker and an uncompromising artist, Comet continues to discover, examine, and explore all that music has to offer her and how she can return the gift. “Comet, Come To Me was a little labor but a lot of love. It was made with my favorite collaborators, and it felt good to channel the sounds in my mind after having Nina in residence for a while,” says Meshell, referencing her last album, a tribute to Nina Simone. 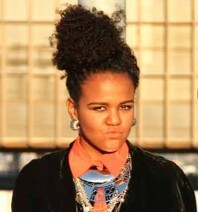 She is especially inspired by the collaborative process that comes with making an album. In addition to the twelve new tracks on Comet, Come to Me (15 including the bonus tracks available on her website), fans of Meshell’s will no doubt be intrigued by her cover of Whodini’s ‘Friends’, a seminal hip-hop track originally released in 1984. A vast array of influences have informed all of Meshell’s albums, and there are traces of her native go-go, hip hop, R&B, new wave and punk in each. Each album has been a step away from the last, each used as a chance to investigate and integrate new sounds and ideas, and fans have been treated to everything from the deep-funk of Plantation Lullabies to the raw and confessional Bitter to the melodic, lyrical Weather. Possessed with instrumental gifts as diverse as her interests, Meshell composed, arranged and produced a jazz record in 2005. Her most recent release paid homage to Nina Simone, a kindred musical spirit and among Meshell's most cherished inspirations. A bass player above all else, the Berlin-born artist who grew up in Washington DC, brings her warm, fat, and melodic groove to everything she does. She has appeared alongside the Rolling Stones, Madonna, Alanis Morrisette, James Blood Ulmer, The Blind Boys of Alabama, Tony Allen, John Medeski, Billy Preston, and Chaka Khan. As for her own bass-playing influences, she credits Sting, Jaco Pastorius, Family Man Barrett, and Stevie Wonder. Meshell was the first woman to be featured on the cover of Bass Player magazine and remains one of few women who write the music, sing the songs, and lead the band. In addition to her own recording, Meshell has been expanding her repertoire as a producer, producing three albums in the past year: British/Trinidadian poet and musician Anthony Joseph's new album, Time; Jason Moran's Fats Waller Tribute, All Rise: A Joyful Elegy For Fats Waller; and a new album by Grammy-nominated Ruthie Foster.